Are you a seasoned hunter? Or do you prefer to shoot a bullseye at the range? Triggers and Bows is the premier gun store near Hamilton for any type of shooter. We offer a wide range of restricted and non-restricted firearms, ammunition and shooting accessories from the best shooting and hunting brands. 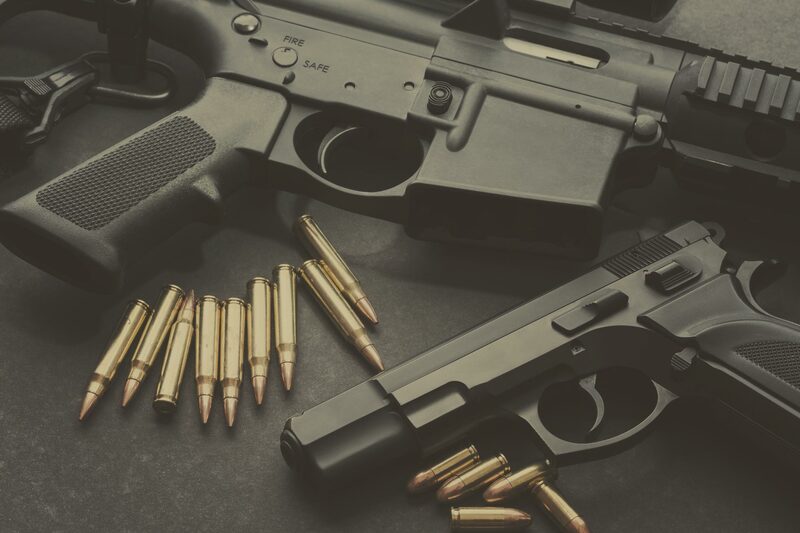 Whether you’re looking for a hunting rifle, a semi-automatic gun or a pellet gun, we can find you the right new or used firearm for your budget. Shop online or visit our Hamilton gun store today and let our team set you up with the perfect shooting gear for your next outing. Triggers and Bows carries the guns and shooting gear you need to make the perfect shot. Our extensive in-store and online collection includes rifles, shotguns, semi-automatics, double action revolvers, pellet guns and more from top brands like Remington, Browning, Winchester and Sig Sauer. To go with your new gun, we also offer ammunition, hunting accessories, range gear, optics and clothing for hunters and target shooters alike. When you buy from Triggers and Bows, you can trust that you are getting the best shooting equipment available. Shop online or make the short drive from Hamilton to our gun store, and let our knowledgeable staff help you choose your new firearms and accessories. The GSG 1911 is a classic and affordable full-size pistol and a great choice for a day at the shooting range. It has the look and feel of the original 1911, while adding an additional magazine, drop, and firing pin safety to meet the highest standards. The pistol ships from the factory with one magazine, a 12mm wrench used to take the thread cap off the barrel, a replacement guide rod buffer disk, one Allen wrench needed for disassembly of the gun, two Allen wrenches needed to drift or replace the sights, a chamber flag, a chamber cleaning brush, and two extra front sight posts of varying heights. How do you know which tactical smartwatch is the smartest for you? Let’s drill down on how they are constructed as well as what features and functions are available to you so that you can pick the best one that will fit all your needs. Here are the top qualities to keep in mind when shopping for your next tactical smartwatch. It can happen to the best of us – getting lost while adventuring in the wild. Read on to discover the common pitfalls of wilderness navigation and how you can avoid them on your next adventure. It’s ice fishing season and we couldn’t be more excited to get out there and become an even better hardwater angler. From gearing up to using sonar, we’ve put together this list of 6 ice fishing essentials to help steer you in the right direction for your best catch.